Peas are not just the plain little green vegetables you always thought they were. Remember when mom forced you to eat them. She was seriously onto something! I bet you’ve never thought of adding them to your smoothie either? Or better yet, that they’re filled with loads of healthy protein and fiber. These two nutrients can significantly boost your energy, strength, and digestion. Whether you boil, steam, bake or blend them. 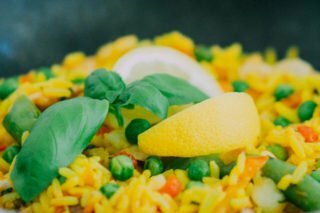 It really doesn’t matter because peas are extremely versatile and easy to prepare. They also contain a large amount of Vitamin K which we highly underestimate. This is a vitamin that we all need more and promotes healthy bones. In fact, they’re amazingly nutritious! Peas are packed with vitamins, iron, fiber, antioxidants, and protein. They’re also deliciously sweet and fresh in flavor. These little guys are members of the legume family along with chickpeas, lentils, and beans. This explains why they’re one of the few vegetables that are abundant in protein. Peas For Dinner? Mom Was Right! You know how the saying goes, ‘mom always knows best?’ Well, I suppose we can all admit to this reality. Especially when it comes down to those nights she forced you to eat your peas. Strangely, we overlook peas. And I admittedly do the same. They’re just something you have shoved in the back of your freezer for those lazy night’s or ‘nothing else in the fridge’ kind of meals, right? No, not at all. In fact, you should be eating peas a lot more and with all your different meals. Didn’t it ever cross your mind about why vegan protein powder is made with peas? It’s no surprise really. They’re like tiny protein bombs! In addition, fresh (or frozen) peas combine amazingly in smoothies. 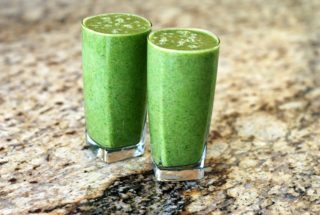 They add a sweet, crisp flavor that removes that dull and dry aftertaste of pea protein powder. Let’s have a look at exactly why they’re so good for you! As I said, peas are loaded with a highly overlooked nutrient called Vitamin K. This is vital for our bone health. Nutritionists state that we need vitamin K to produce osteocalcin. This strengthens our bones by hardening the calcium, which is used in the bone renewal process. In addition, peas are filled with antioxidants vitamin C, vitamin E, and zinc. They also have copious amounts of other protective plant compounds called polyphenols. Why do you need these? Well, polyphenols help keep your immune system strong and resilient. Therefore, you will be a lot less susceptible to nasty, lingering colds, cases of flu and infections. Trying to increase your fatty acids intake? Luckily for you, green peas are an excellent source of omega 3 fatty acids, which support a healthy vascular system and reduce the risk of blood clots. 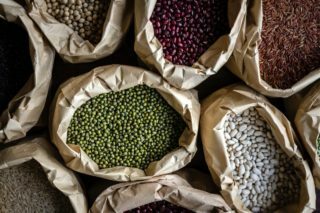 In addition, they’re also rich in B vitamins, which have a major role in regulating high levels of homocysteine which is a risk factor for cardiovascular disease. Peas are like little power balls because of their combination of natural anti-inflammatory properties and fatty acids. Eating them on a regular basis can be a fantastic way to boost the health of your heart. Peas are super-packed with both protein and fiber. These macronutrients are what create an ideal situation in your body for maintaining stable blood sugar levels. Better yet, eating these vegetables will keep you going for longer and help you avoid fatigue and afternoon energy slumps. These can often leave you feeling tired and irritable. Therefore, you’ll also be getting a quick mood booster too! Peas are also packed with iron. This is extremely important for maintaining sustained energy levels. Have you ever heard that saying, ‘there is more than one way to skin a cat?’ While it might be a rather raunchy phrase to be referring to, the concept does apply here. It’s really up to your personal preferences because there are many different ways to cook your peas. However, you don’t need to feel limited to boringly boiling them every time. Instead of boiling peas, why don’t you try shallow frying them? All you need to do is pull out a large pan and fill it with 3 tablespoons of water. Then add your peas and leave them to cook for three minutes. In fact, the less water with which you prepare them, the better. 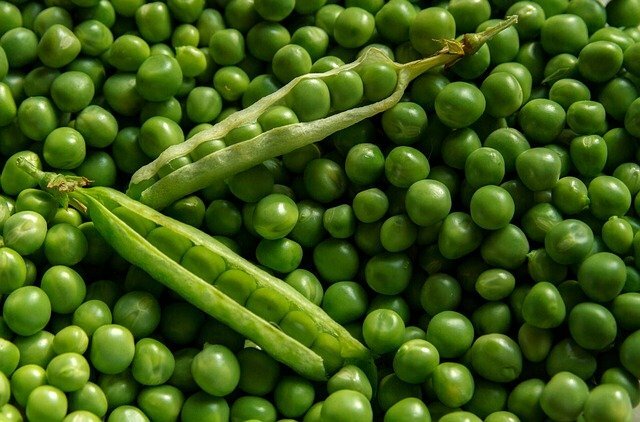 The minimal contact with the water and the short cooking time will help to avoid the water-soluble B vitamins and vitamin C from leaching out of the peas. You can also steam them over a pot of boiling water or you can pop them into the microwave for two minutes, if you’re feeling lazy. It’s also really beneficial to add a handful of peas to your morning or post-workout smoothie. This is an incredible way to boost protein and fiber levels, which will help to neutralize the impact of the sugar in the fruit. Do you buy protein powder? Well, you may not need to anymore because you’ve got peas and they’re not all that they are hyped up to be. You do not have to buy protein powder in order to get enough in your diet. Besides, peas are a whole lot cheaper and probably much healthier. Moreover, it’s also a much more natural protein boost than a commercial powder with all the associated additives. Who doesn’t love a tasty, fresh salad for lunch? You can try adding some green peas to your green salad. This is an amazing way to enjoy them while they’re in season as they’ll add a natural sweetness to the leaves. Especially if you’re not too keen on eating a bowl of peas on their own. Diet culture is one hot topic that dominates social media today – but it has a dark side. 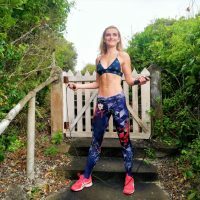 We cannot live in a little Instagram, diet culture focused world – we’d all go crazy! Discover why weight loss is not always the answer.